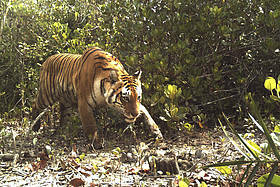 What you can do to save the tiger? Tell others that the tiger and its habitat are under threat and that they need our help. You can form forums (or join existing ones) on the web for discussions and exchange views on tiger conservation. Schools can become members of WWF-India’s NCI (Nature Club of India) and reach out to children. 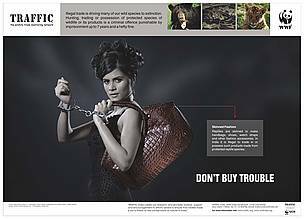 WWF-India can help you in this regard. The wilderness is to be experienced and not to be disturbed and polluted. 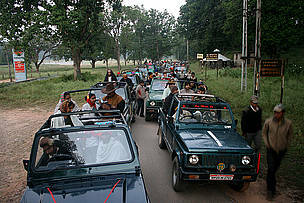 Follow the forest department guidelines when visiting any wilderness area, tiger reserve in particular. As the saying goes ‘Don’t leave anything behind except foot steps, and don’t take anything except memories. If you are really concerned and feel that more needs to be done for tiger conservation, then write polite letters to the decision makers - the Prime Minister, the Minister for Environment and Forests or even your local MP. Say ‘NO’ to tiger trade by refusing to buy tiger parts and items prepared from tiger derivatives. Speak to tiger and wild ungulate poachers and persuade them to give up poaching. If you know of any information on poaching or trade of illegal wildlife, inform the local law enforcement agencies. You can also contact TRAFFIC- an organisation fighting the powerful poachers and pass on the information to them. By reducing the use of products derived from forests, such as timber and paper. Donate for this cause and encouraging others to donate too.